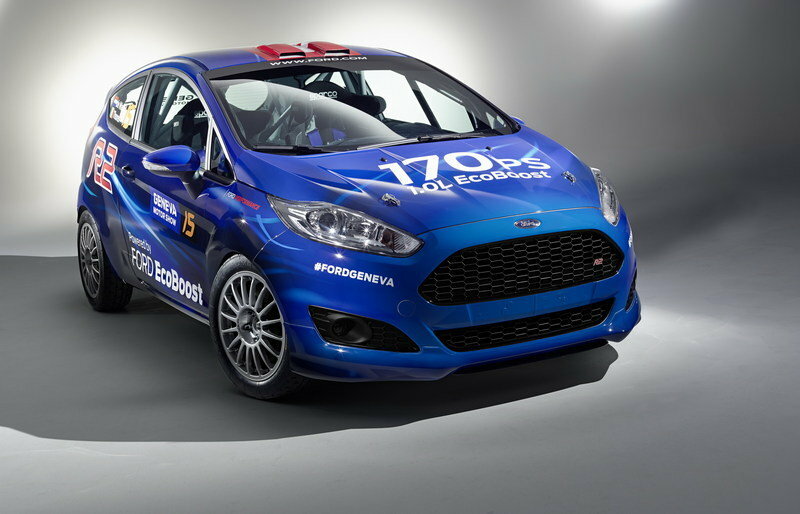 Ford launched its Fiesta R2 program back in 2010 to help young and inexperienced drivers learn the ropes of rally racing and move their way up the ladder in the sport. From the R2, the ladder moves drivers up to the Fiesta R5 and later up to the RS WRC, but they must first master this lower-powered rig, and dominate all the other drivers that Ford is testing. For the 2015 racing season, Ford has launched a new Fiesta R2, and it debuted the model at the Geneva Auto Show. This new subcompact rally rig features Ford’s award-winning 1.0-liter EcoBoost engine, but its wick is turned up beyond its standard 123-horsepower mark. This small-displacement, "relatively" low-powered engine is a great jumping-off point for up-and-coming rally drivers, as it helps them focus on controlling the car rather than reining in a super-powerful engine. Continue reading to learn more about the 2015 Ford Fiesta R2. With exception of the rally-spec wheels and tires and the livery, the 2015 Fiesta R2 looks very similar to your everyday Fiesta. 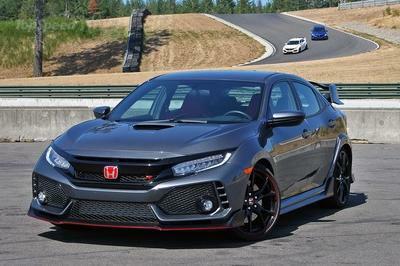 Other almost unnoticeable changes to the exterior include the addition of an “R2” badge on the new mesh front grille, a small splitter in the center of the front bumper, a slightly revised rear bumper insert, and hood and hatch pins. The similarities between this rally prepped model and the road-going version are uncanny, but this may be a ploy to help sell more Fiestas. People tend to enjoy seeing their daily driver tearing up a racetrack, and making it look so close to the road-ready model can only help enhance that. Ford didn’t release any images of the R2’s cabin, nor did it reveal any info on it. In one image, however, I can see through the window, and in that image I can make out a pair of Sparco racing seats, four-point harnesses and a full roll cage. I am also fairly certain that the dashboard will be stripped down to just a few important gauges, while all of the carpeting and interior plastics will be ripped out too. Ford didn’t provide much about the engine and drivetrain, but it did pass on a few bits of information. 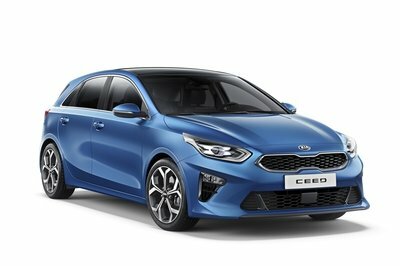 First and foremost, this is the first time that the 1.0-liter EcoBoost three-cylinder has been homologated into the sport. In its rally spec, this engine produces 168 horsepower – that accounts for a 45-horsepower boost over the production model. 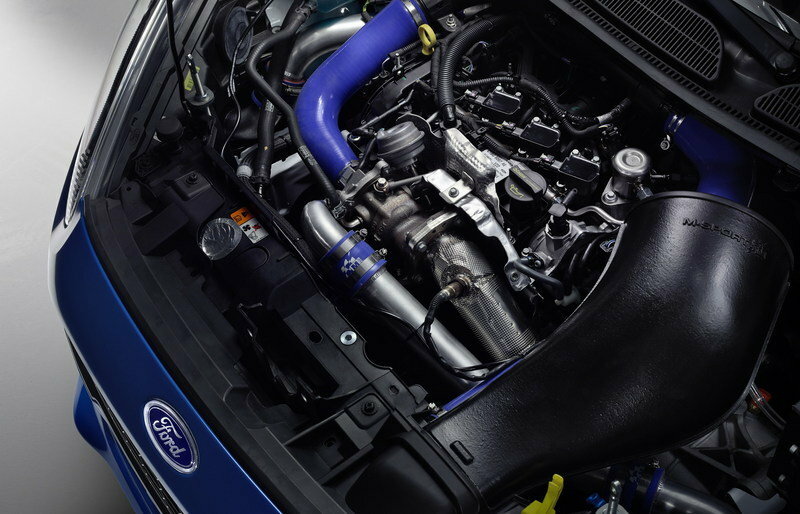 This engine replaces the 1.6-liter Zetec engine in the previous Fiesta R2. 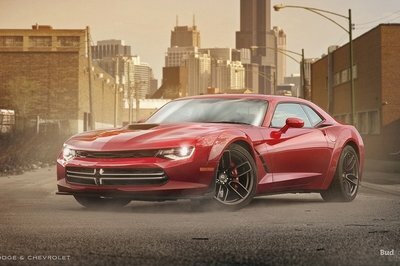 That engine produced 161 horsepower and 134 pound-feet of torque. There is no mention of transmission or drivetrain, but I think it is safe to assume that this rally rig will feature a sequential transmission of some sort that drives the front wheels. Helping it handle the insanity that is the rally circuit are a rally-spec suspension and brakes. Ford has yet to release pricing on the 2015 Fiesta R2. The Fiesta R2 will compete only in one-make races, where it will battle only other Fiesta R2 cars. The winner of the DMACK Fiesta Trophy in 2015 will get the opportunity to move on to the Fiesta R5 in WRC 2. 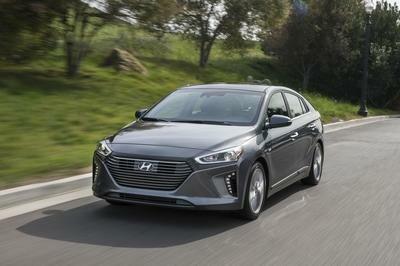 At the end of the day, this is little more than a retooled Fiesta with a little more power, some safety goodies, and less weight. Given its purpose is to find the best untested driver for promotion into Ford’s more advanced racing series, it makes sense. 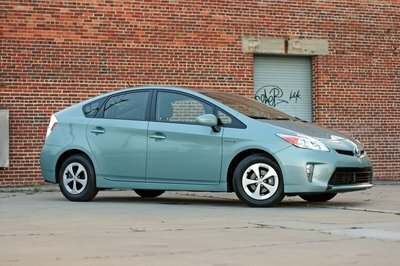 Maybe Ford will get ambitious and create a tuned 1.0-liter for the production Fiesta, but I wouldn’t hold your breath. Ford Motor Company today presented the all-new Fiesta R2 rally car at the 2015 Geneva Motor Show. Developed by M-Sport with support from Ford – and powered by the 1.0-litre, 3-cylinder EcoBoost engine named International Engine of the Year for an unprecedented third year in a row in 2014 – the Fiesta R2 will be the first car homologated by the FIA under new regulations that allow 1.0-litre turbocharged cars to compete in the R2 rally class. Featuring significantly revised, race-bred transmission, brakes and suspension, the Fiesta R2 also will be the first 1.0-litre direct injection vehicle ever homologated by motorsport’s governing body, and delivers an evolution in performance in its competition class. 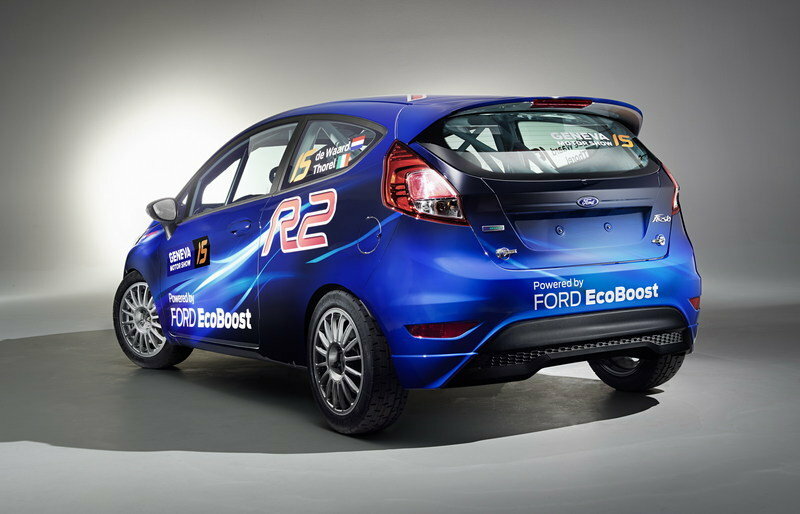 Launched in 2010, the first generation Fiesta R2 was the first ever global rally car, and the first step on the Blue Oval’s Ladder of Opportunity, created to provide young drivers with the perfect platform to launch their rallying careers on the global stage. Offering proven race-winning technology, the Fiesta R2 has demonstrated reliability in rally stages around the world including World Rally Championship (WRC) events. The natural progression for a winning driver in the R2 category is to move on to the highly successful Fiesta R5 and ultimately the Fiesta RS WRC. Up-and-coming drivers are able to progress through the rallying ranks at the wheel of products designed and developed by M-Sport with support from Ford – from grass roots to the highest level. More than 250 Fiesta R2 cars are now in active competition across the globe – helping young talent develop with numerous class victories and championship laurels to their name. The all-new Fiesta R2 will be driven by competitors in the single-make Drive DMACK Fiesta Trophy series, first at the Rally de Portugal in May, and also in Finland, Germany, Poland and Spain. A cost-effective platform for drivers to experience the FIA WRC, the overall winner of the series in 2015 will secure the opportunity to compete in seven WRC 2 rounds with a Drive DMACK funded Ford Fiesta R5 the following season.